(Zach Epstein) T-Mobile isn’t the biggest carrier in America, but it is quickly becoming the most important. The company struggled for years to compete with Verizon Wireless and AT&T, but now T-Mobile is finally gaining traction thanks to CEO John Legere’s big personality and his team’s even bigger ideas — ideas that are forcing the market leaders to do what they have always tried to avoid: change. The executive on Wednesday unveiled the third stage of his “Uncarrier” initiative, which so far has helped T-Mobile to not just slow subscriber bleeding but actually add branded subscribers for the first time in years. How are Legere and company turning things around? With some slick marketing and even slicker strategic shifts that dare to go where AT&T and Verizon have historically feared to tread. Following the successful rollouts of T-Mobile’s first two Uncarrier phases — the first involved ditching conventional service contracts and the second was an accelerated smartphone upgrade plan — T-Mobile on Wednesday evening announced a bold new initiative: Free international data roaming and text messaging in more than 100 countries around the world. The move continues T-Mobile’s strategy of directly attacking long-standing subscriber pain points in ways that had previously been considered unthinkable. Ditch service contracts? Verizon would never do such a thing. Allow customers to upgrade to a new smartphone twice a year and pay the same prices a new customer would pay each time? AT&T would have laughed at the notion a year ago. But now, AT&T and Verizon have gone from completely ignoring T-Mobile to following its every move. And Legere’s Uncarrier strategy is behind it all. 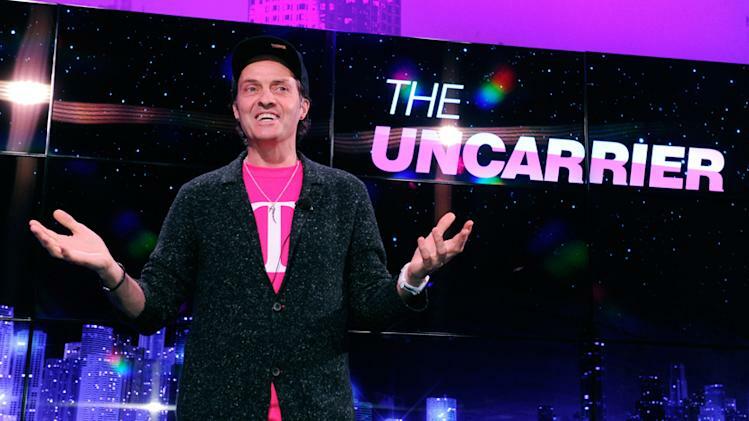 The true beauty of T-Mobile’s Uncarrier moves is that these initiatives are not careless lossmakers aimed desperately at stealing business from rival wireless carriers. These are bold, well-thought-out value added services that not only attack big consumer pain points, but also drive revenue growth. In the case of T-Mobile’s latest move, the idea of free international data roaming will appeal immediately to anyone who travels regularly because using data services while abroad have always been ridiculously expensive. T-Mobile will provide free unlimited 2G data to “Simple Choice” plan holders as they travel, and they can then purchase high-speed data “Speed Passes” at $15 for 100MB that lasts one day, $25 for 200MB that lasts one week, or $50 for 500MB that lasts two weeks. According to an analysis from LaptopMag, those rates offer substantial savings of 50% or more compared to the international data rates offered by rivals Verizon Wireless and AT&T. This tiny carrier that once seemed content to just barely scrape by is now a leader forcing enormous rivals to follow or risk losing waves of subscribers to the scrappy wireless service provider. Following T-Mobile’s last Uncarrier moves, AT&T and Verizon each unveiled their own copycat programs almost immediately. It’s always fun to root for an underdog, but it’s not always easy. T-Mobile and its boisterous chief executive make it incredibly easy, however. Data speeds and coverage have long been the biggest barriers to entry for prospective T-Mobile subscribers, but those walls are now crumbling. T-Mobile also announced on Wednesday that its 4G LTE service has been rolling out in many regions ahead of schedule, now covering more than 200 million people in 233 regions across the country. As T-Mobile’s service continues to expand and its data speeds climb, the prospect of saving money by switching off of pricey plans offered by major carriers will become a real possibility for millions more AT&T and Verizon subscribers in the coming quarters. Add on T-Mobile’s bold Uncarrier offerings — and Shakira — and customers will find countless compelling reasons to consider making the switch. AT&T and Verizon have no choice but to copy T-Mobile’s bold moves; Legere and company are now steering the ship. America’s smallest nationwide wireless carrier is indeed now its most important wireless carrier.